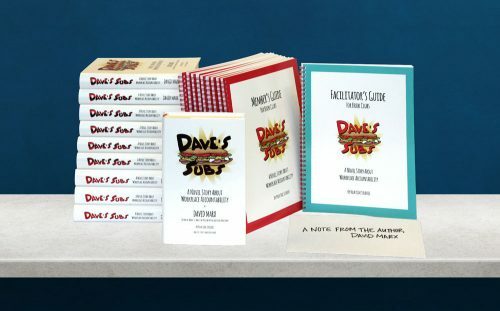 Dave’s Subs Book Club Kit includes ten Dave’s Subs books, one facilitator’s guide, and nine member guides. Dave’s Subs Book Club Kit – over a 20% discount from buying the books and guides individually. It includes ten Dave’s Subs books, one facilitator’s guide, and nine member guides. Get your bookclub started today!